tinction between the two is that children are much more likely to harbor some underlying metabolic or enzymatic defect as the etiology for their stone disease (Milliner and Murphy 1993) (Fig. 8.22). Therefore, all children who present with urinary calculi require a complete metabolic evaluation following the resolution and treatment of the acute stone episode. 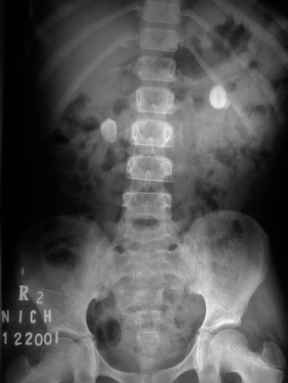 The surgical treatment of pediatric urolithiasis consists of the same endourological practices and techniques that originated in adults. 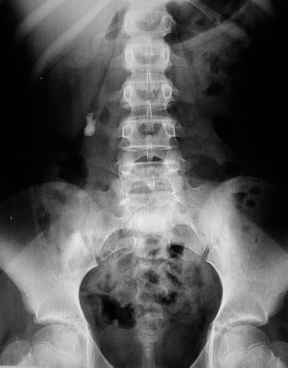 ESWL is very effective for even larger in-trarenal and proximal ureteral calculi (Pearle 2003) (Fig. 8.23). With advancements in technology and miniaturization of endoscopes, when indicated, virtually every child can undergo ureteroscopic evaluation and intracorporeal laser lithotripsy (Tan et al. 2005).